SEMrush helps you get a complete picture of your backlink profile. We use our own database of over one billion backlinks to find all the domains that are referring to your website. The integration with Google Search Console is also available, so you’ll be able to scan a greater number of backlinks. Besides this, you can upload an external backlink list (for example, a .csv file) into the tool. That way, you won't overlook any links. The new Penguin 4.0 is now more “granular”, which means it does not only monitors backlinks for an entire domain, but for each important subdomain or subpath as well. The Backlink Audit tool allows you to analyze links referring to a specific URL or subpath and avoid Penguin penalties. We evaluate all your backlinks and immediately tell you how high your risk of being penalized by Google is. 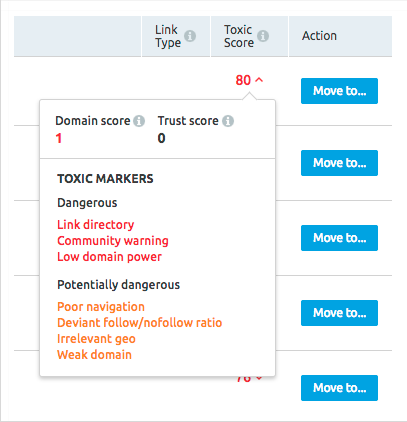 You will be provided with a toxic score for each of your backlinks, calculated based on 45 toxic markers. During the analysis process, we take into account each toxic signal’s frequency and importance. We also use machine learning and user feedback. In a nutshell, we provide you with as much information as possible, so you can quickly decide if you should urgently get rid of a certain link. Google Webmaster Guidelines require that you ask the “toxic” website’s owner to remove the link to your domain. To make this process easier, you can do it from the Backlink Audit interface. SEMrush automatically locates and provides you with the website owner’s email, so you can send them a request to remove the link in just a few clicks. If the links can’t be removed even after contacting the website’s owner, you need to send them to the Google Disavow tool. You can do it easily in the Backlink Audit interface. Just move the link to the Disavow list, export it and send it to the Google Disavow tool with no additional edits needed! Expert tip: if your risk of being penalized by Google is extremely high, SEO experts recommend disavowing the links immediately, even before contacting the website’s owner. After a major detox of your backlink profile, your work is only beginning. Spammy and potentially harmful links can appear at any time, so it’s essential to discover and disavow them before you get penalized by Google. The Backlink Audit tool conducts a regular recrawl of your website every two weeks, but you can also launch a crawl on a weekly basis. 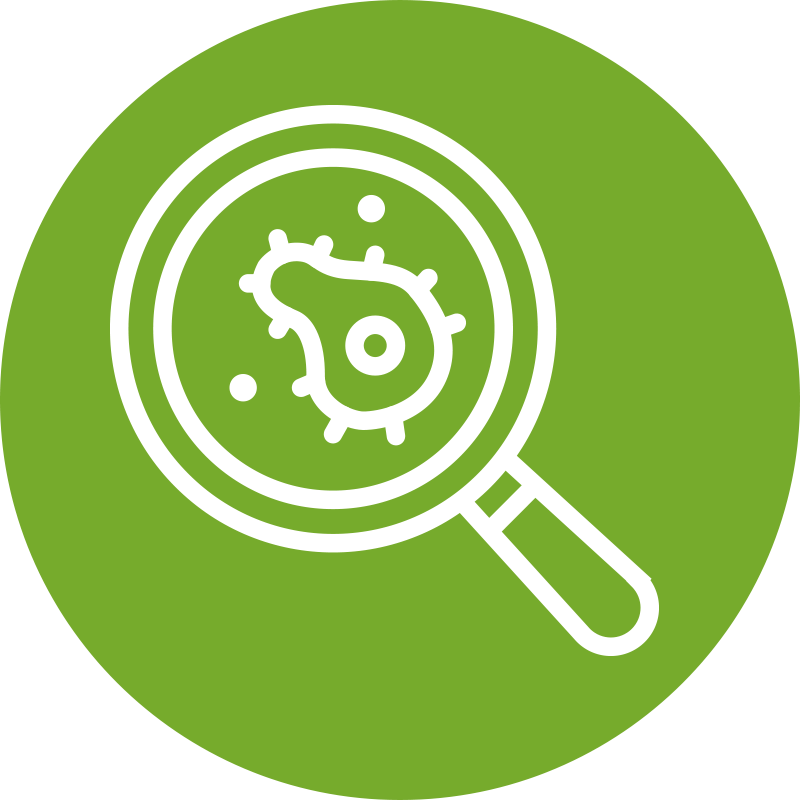 We will tell you how many new links we've recently found and which links have been lost or broken (see the “Lost & Found” tab in your report) and notify you if your website is at risk. You’ll be informed of any changes via email.